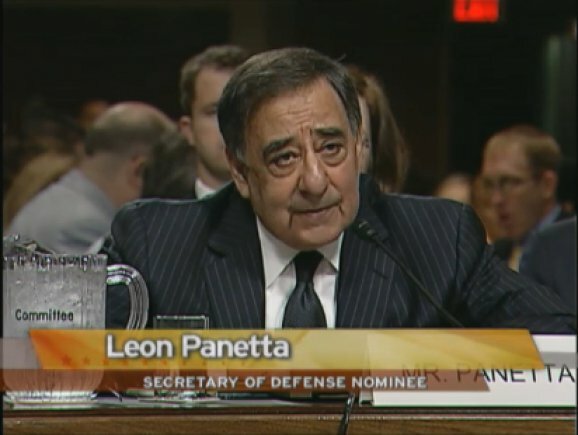 Leon E. Panetta testifies before the Senate Armed Services Committee June 9, 2011. Photo courtesy of DoD Screen capture. Panetta wrote the letter to Sen. John McCain and Sen. Lindsey Graham, Republican members of the Senate Armed Services Committee. According to the Associated Press story, Panetta, who has used apocalyptic terms such as “doomsday,” “hollow force” and “paper tiger” to describe the cuts, said the military would have to rethink its strategy.